Superintendent Perry Trethowan is returning to London with his wife, Jan, after visiting his difficult family in Northumberland. Driving through the Yorkshire Dales their car breaks down, and they find themselves stranded in a small village for the night. Taking refuge in the local pub for the evening, Perry and Jan are joined by Miss Edith Wing, a seemingly unremarkable woman with an extraordinary document in her possession. 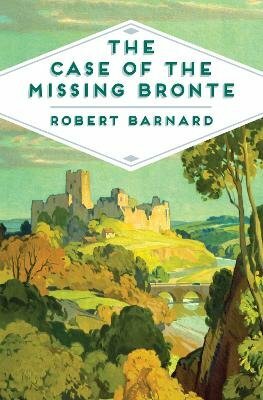 Is this really an undiscovered novel by one of the Bronte sisters - sure to be a literary sensation - or simply an extremely clever forgery? What starts out as a harmless diversion for Robert Barnard's determined policeman, turns into a hunt for a vicious attacker, in this classic mystery from a master of the genre.